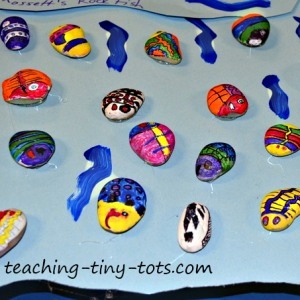 Cute activity that can be paired with any fish unit or book. Read My Rainbow Fish Book Box or read books of your choice about fish. This would also be a great culminating project for a unit on fish. See more of our suggestions below. Have all materials ready, rocks rinsed and dry and paint set up in small stations or have the children work in small groups coming to one table at a time. Talk about the colors you are going to use. Write the color words on the board for younger children. Discuss how to draw a fish and have a few samples on hand for them to get ideas. Talk about making spaces for them to paint in. If this is for a group of children have labels or masking tape ready to put their name under the rock. 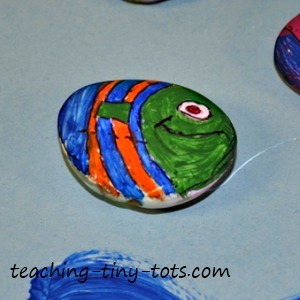 Have each child draw their fish on the rock using the sharpie. Color in the spaces made with paint. Let your rock fish dry thoroughly per paint recommendations. If you are working with very young children, you might work with just a couple students at a time. That way there will be less confusion about where to draw and how to fill in the colors. 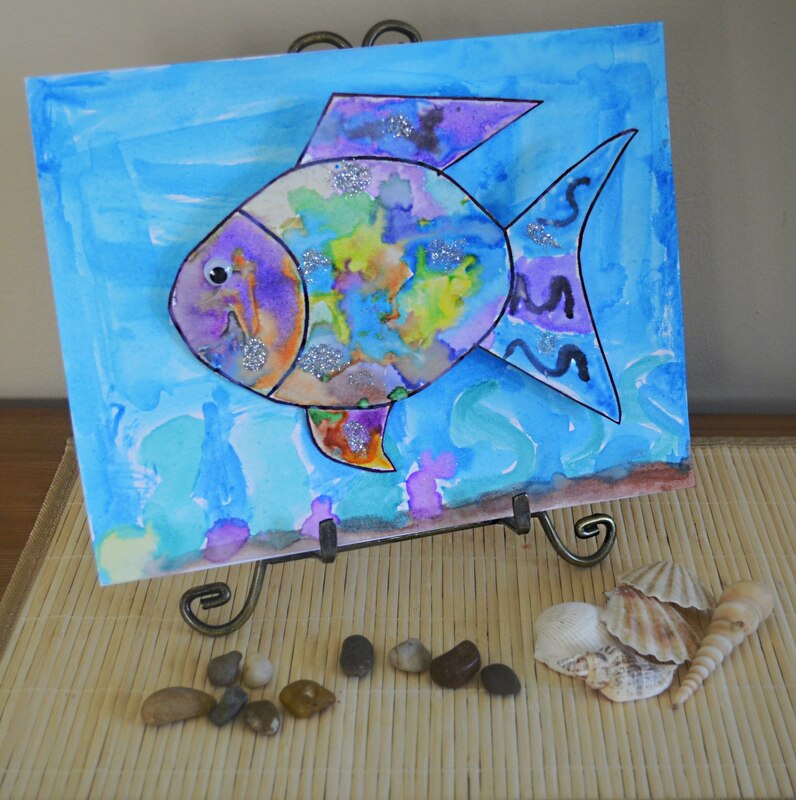 There may be a simple fish stencil for very young children where you can just use a small square sponge with paint to press over the stencil. For older children you can have them ork in pairs with children who need a little extra assistance. Use our free printable and make your own with watercolors. Add some glitter to make his special sparkly scales. Here are some books that would be a great way to introduce this cute activity.